Will The Humpback Whale Be Saved? Whale Wars is probably one of the most intense shows that I have ever watched, and mind you I have only watched a few of them. These people literally risk everything to try and stop Japanese fisherman from participating in commercial whaling. As most of us know commercial whaling is one of the main reasons why the humpback whale was originally placed on the endangered species list back in the 1970s. However, commercial whaling isn’t the only reason why these beautiful creatures were at risk, being hit by ships passing through the waters, as well as becoming entangled in equipment from various fisheries also lead to the decline of the species. Now even though currently all of the humpback whales are on the endangered species list under a new plan formed by the national Oceanic and Atmospheric Administration that could soon change. According to this group based on information obtained from a 2010 study conservation efforts have been paying off, plus there have been notable increases to the humpback whale population. Due to these improvements the NOAA wants to divide the humpback population into 14 separate groups, which would actually result in 12 of the groups being removed from the endangered species list. Now how the endangered species list works is animals that are about to become extinct are placed on the endangered list, while animals that are at risk for becoming extinct “in the foreseeable” future are placed on the threatened list. The NOAA as well as the U.S. Fish and Wildlife Service are the ones responsible for deciding hat animals are placed on each list. With that being said let’s look a little more closely as how this relates to the humpback whales. The more research that is done on these beautiful creatures, the more we have been able to understand them. 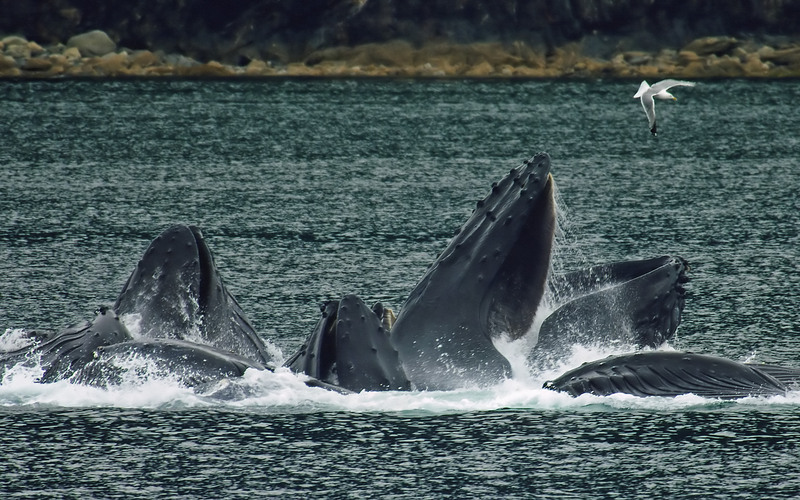 Researchers today have found that the various populations of humpback whales are quite independent of one another. Separating them based on their distinct populations allows researchers and animal activists to protect the ones that need it the most. By putting them into 14 separate groups the only groups that will remain on the endangered species list will be the population groups that reside in Northwest Africa and the Arabian Sea. The population groups that reside in the Western North Pacific and Central America will be moved from the endangered species list and placed on the threatened species list instead. The rest of the humpback populations are no longer considered to be at risk.